Dr. Utaca Chen. Family Dentists, Serving Oakville and GTA for 23 years! Oakville Dentistry: Invisalign invisible braces, dental implants, cosmetic dentistry, orthodontics & more! We would like to extend a friendly welcome on behalf of our team of dentists, hygienists and dental assistants. The staff members at our practice are highly committed to offering our patients with the finest in dental health treatments. With a tremendous level of commitment, backed by significant experience under their belts, the staff at our dental centre have each respectively obtained the professional qualifications required to comfortably and successfully treat patients. Our main ambition is to offer and carry out quality work in every facet of dentistry, while using its most cutting-edge equipment and approaches. Our website offers in-depth resources to help our patients become informed about dental conditions and treatments. If you are unsure about how certain treatments are carried out then please feel free to browse our Patient Education Library, or our 3D Dental Education videos. 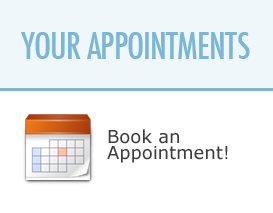 We are aware when it comes to choosing a dentist in the GTA and Oakville, convenience is important. Please don't hesitate to contact us with your questions, concerns or if you would like to set up an appointment. We will do our utmost to provide you with accessibility and professional commitment.